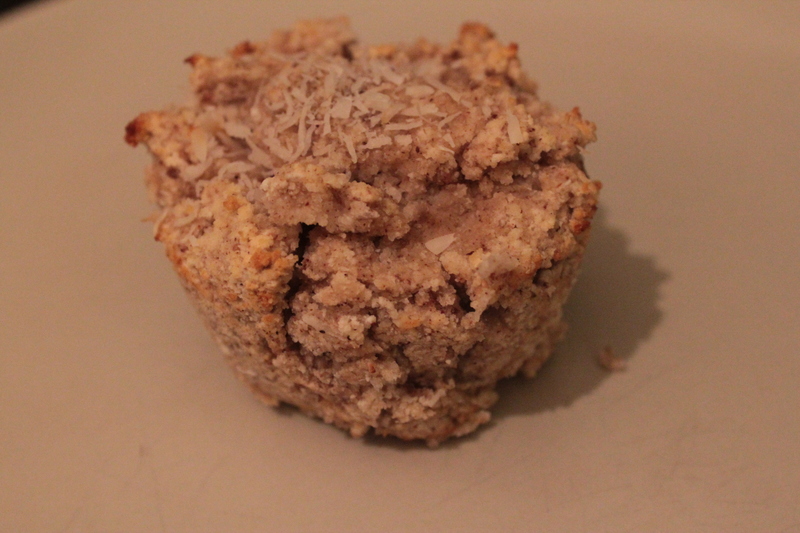 Ever thought of baking without cow milk, butter and eggs? 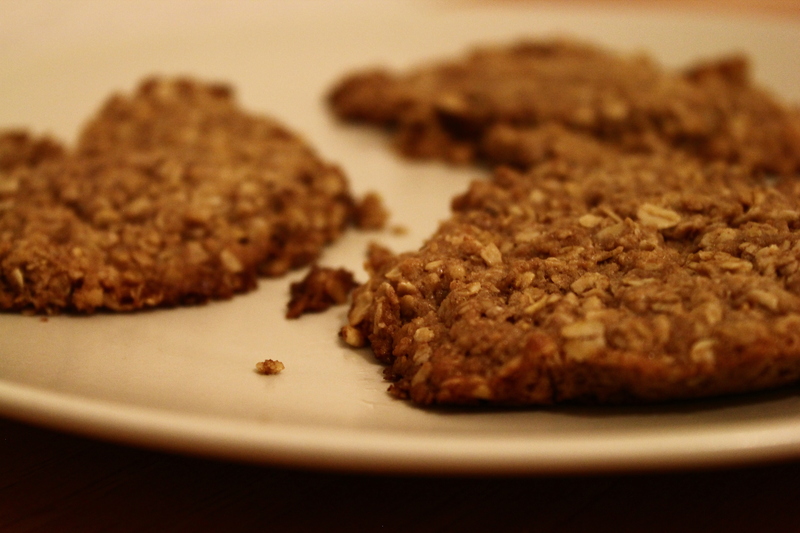 In the weeks to come I will post some vegan cookie recipes. I hope you’ll like them. 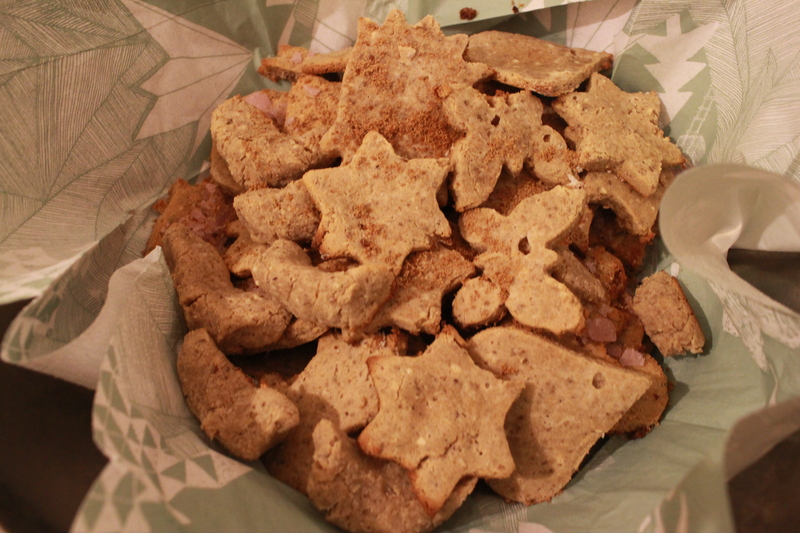 I start with chestnut cookies. You can decorate them with white chocolate (there are also vegan varieties with rice milk) or sugar sprinkles or just powdered sugar. 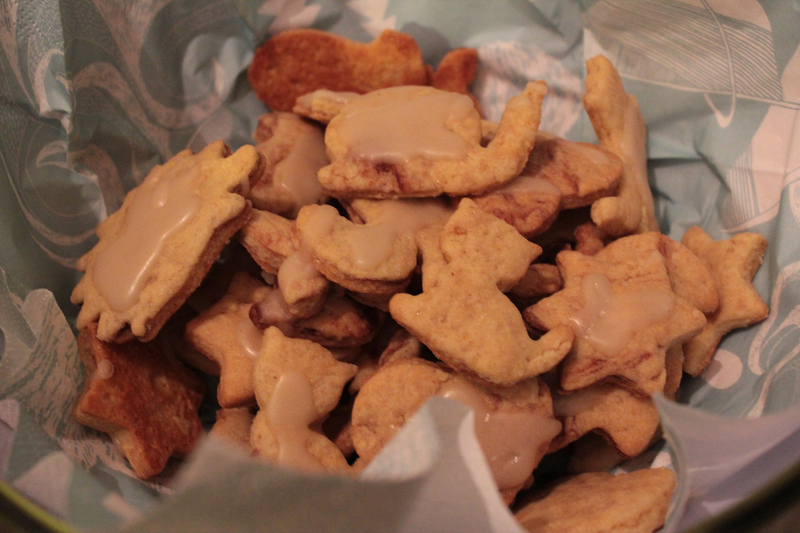 I’ll post a vegan recipe for sugar sprinkles soon. Carve into the chestnuts on top twice to form a cross – without this step you’ll not be able to get the content out of the shell, well, not quite easily at least. 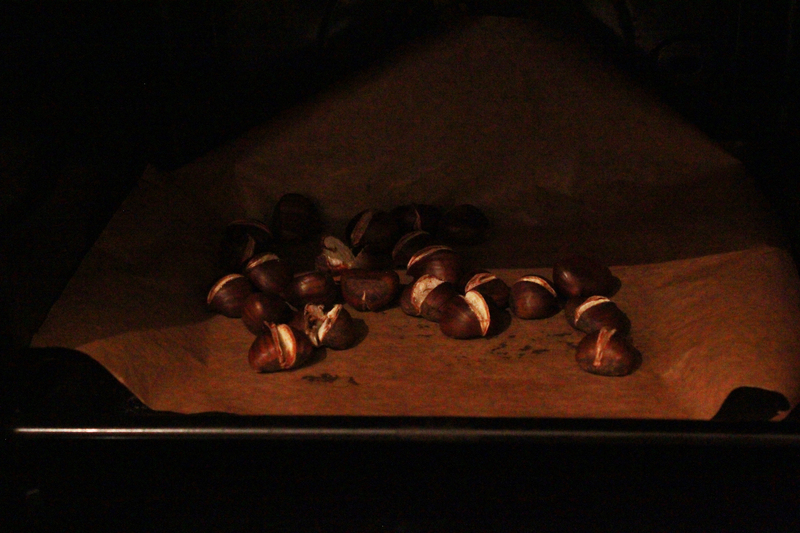 Now toss the chestnuts in the oven for about 20 to 25 minutes at 180-200°C. When half of the time is passed, turn the chestnuts once. Remove them from the oven. Remove the shell to get to the yummy content. Blend with 100ml milk. 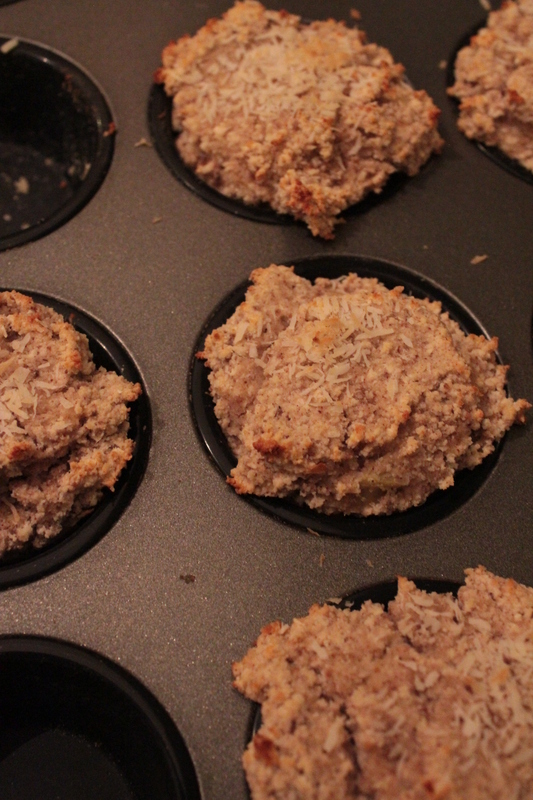 Prepare the egg replacement from chia seed flour and water. Knead all ingredients to a dough and roll out the dough. Maybe you need some more flour when the dough is sticky. 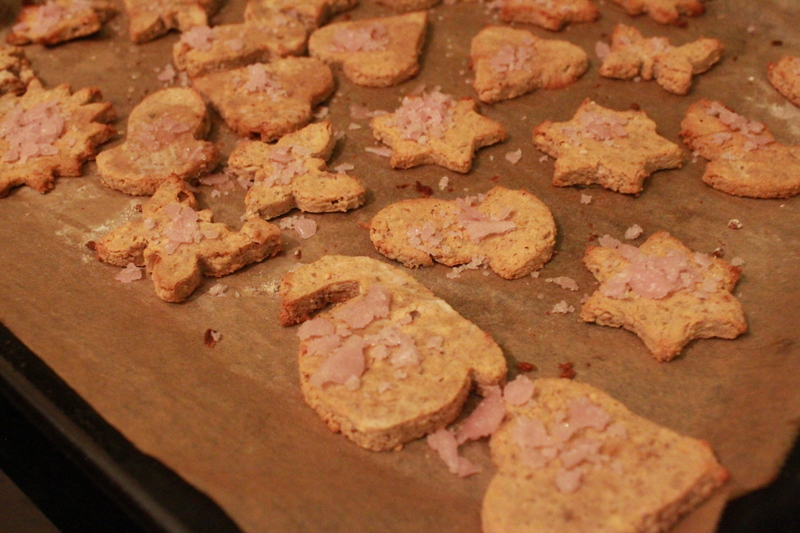 Cut out biscuits. You can form (vanilla) crescents from dough leftovers when you don’t want to roll out the dough again. Bake at 190°C for about 20 minutes. Decorate as you like or enjoy them just the way they come out of the oven. Alright, I admit, this recipe actually does not really qualify as “recipe” as you can easily do this yourself and you don’t even need to cook. 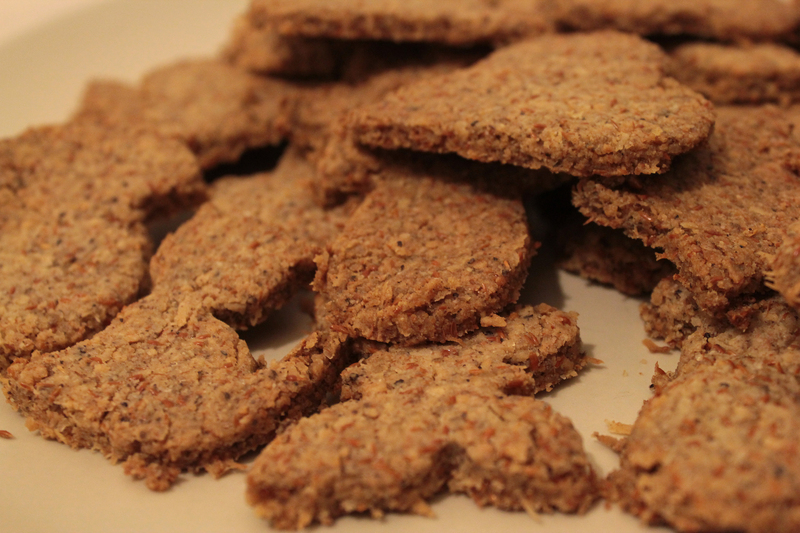 But since this snack is really delicious it finds its place among recipes on this blog. Carve into the chestnuts on top twice to form a cross – without this step you’ll not be able to get the content out of the shell, well, not quite easily at least. Now toss the chestnuts in the oven for about 20 to 25 minutes at 220°C. When half of the time is passed, turn the chestnuts once. Remove them from the oven. Finally remove the shell to get to the yummy content. 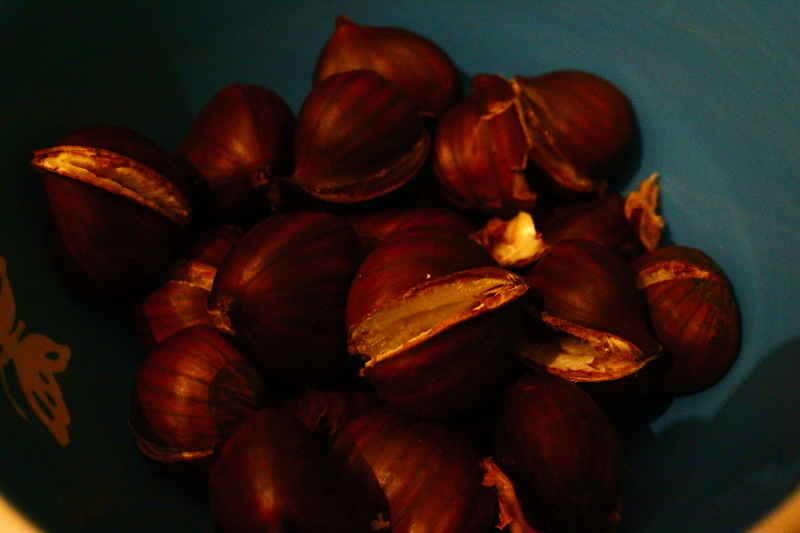 Enjoy the chestnuts while they are still warm. spices you can tolerate, e.g. cinnamon, cardamom, coriander, gingerbread spices, etc. Warm up butter in a pan with high rim, but do not cook it. Mix oat flakes with the spices in a bowl. Fold the mix in with the butter. Bake it for 5 minutes, stir occasionally. Leave it to cool. Whisk egg(yolk)s with sugar. Add flour and baking powder. 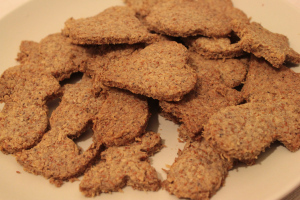 Fold it in with the cool oat flakes-mix from before. Cover the baking tin with baking paper. Use a tablespoon to place portions of dough on the baking tin. Leave a gap of about 3 to 5 cm between the small heaps, because they will still expand. 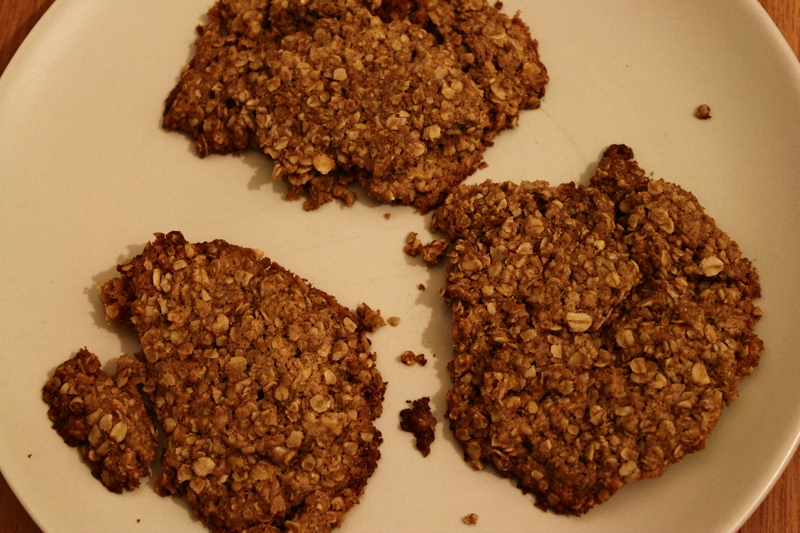 Bake for about 15 minutes at 180-190°C until the cookies have a yellow golden appearance.